COME AND GET IT! - AND DON'T FORGET TO USE THE "INCREASE CHANCES" FEATURE TO GET MORE CHANCES TO WIN! 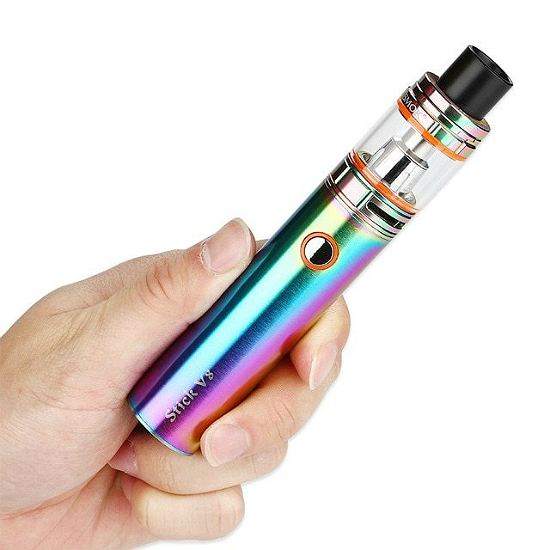 The winner of the lottery #1228 for 2000MAH SMOK STICK V8 WITH 2ML TFV8 BABY TANK was Tyler Sunkanook from Moonstone, Canada on Apr 3, 2019. 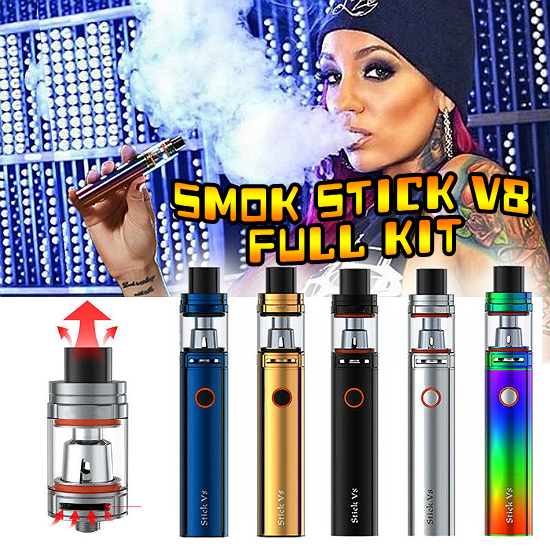 SMOK Stick V8 Kit is an all-purpose platform caters towards cloud-chasing performance, combining a long-lasting 2000mAh Stick V8 Battery with the highly appraised TFV8 Baby Tank. The Stick V8 Battery is powerful and durable, extending the battery range of plug-and-play segment with a built-in 2000mAh battery. Operationally, it leverages a direct output voltage system to produce higher levels of output, capable of firing up to 20 Amps of continuous discharge. The single button operation is simplified, engineered with Intelligent Battery Life Indicator for a premier ergonomic form factor. The TFV8 Baby Tank is included with each kit, a vapor-orientated system with compact stature and refined functionalities from the TFV8 series. It features adjustable bottom airflow, SMOK's signature hinged top-fill system, and utilizes the new 0.15ohm and 0.25ohm Baby-M2 Coil Head, specifically made for the direct voltage based systems. 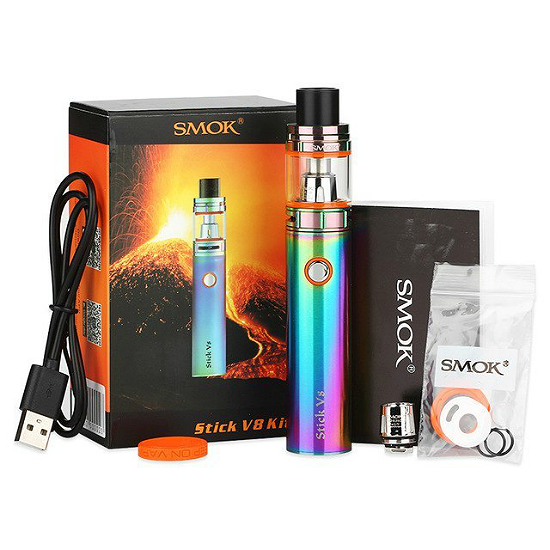 Brilliantly constructed with incredible ergonomic operations and performance capabilities, the SMOK Stick V8is a phenomenal platform.